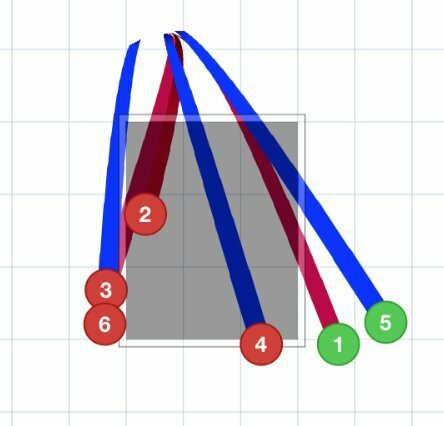 Porcello disrupted Gattis with an 0-1 changeup - his first right-on-right changeup since Sept. 4. This is now 8 straight games of watching the Astros. Knew about their stars but really impressed by Gurriel. He can flat-out hit. Porcello with an 88 mph slider/cutter to punch out McCann. That is the pitch the Sox have needed. 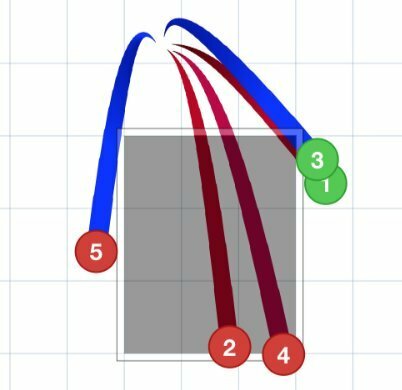 Huge K.
Porcello kept going to that well and left one over the middle with a 2-1 slider. Springer ripped it for an RBI single. 2-1 Astros. Sox getting somebody up in the bullpen, it’s Joe Kelly. Kelly has been pronounced ready in the bullpen, but Farrell sticks with Porcello for Correa with the bases loaded. Bases loaded for Correa with two outs and Astros up, 2-1. At this point, it’ll be a surprise if he does not hit a line drive somewhere. Indeed a surprise as Porcello strikes him out swinging. For the 2nd straight inning, Porcello gets out of a jam, this time punching out Corrrea with a 93 mph heater. 4Ks, 3BBs: Goal is no contact. Porcello has allowed 2 runs on 4 hits and come off the mound pumping his fist twice. That sort of game. Houston 5 LOB. At most , you let Porcello get through the lineup for a 2nd time. 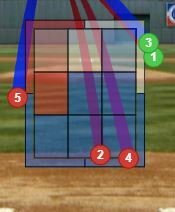 But every one of these pitches is red-line stress. Sox will 3 innings from Eduardo Rodriguez today. At least. Hanley explained his gesture after reaching base as such: "Crush in the playoffs. Kill it in the playoffs." Hanley 24 of 53 (.453) in Division Series play for his career. Hanley is now a career .382 hitter in the playoffs, 2nd all-time (min. 50 PAs) behind Lou Brock (.391). .382/.455/.588 line. 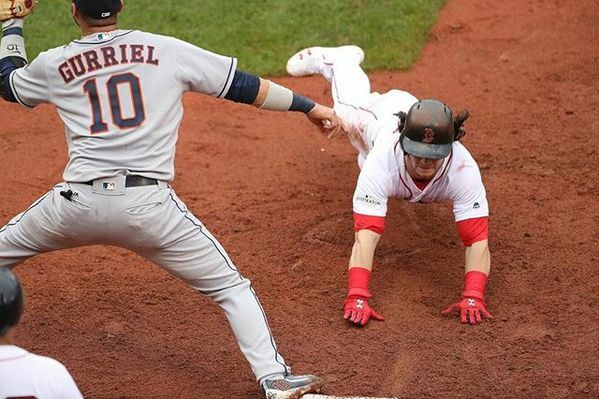 Give Wegner credit for not running Pedroia. That was pretty close. Sale is warming up. All hands are on deck. I don't buy human error as an acceptable "beauty of the game." Pitching is an act of intentional visual deception. Why judge it visually? Have to think if Sale is up, he’s coming into the game. It should be noted that Morton's execution was brilliant. He saw an opportunity to stretch the zone and did it. Conspiracy theory: Wide strike zone is because of the weather and umps/MLB wanting the game to move along and avoid delay. Porcello's struggle this year - inconsistent command on the 4-seamer. Above the barrel, great pitch. On the barrel, ball goes far. You figure Gattis is Porcello's last batter. Sale for McCann. Sale's back up, so presumably he'll be in for McCann to open the 4th. Astros had nine baserunners and two runs in first three innings. Team that does that usually loses. A Betts rocket turns into a double play. Second straight year that's happened in a potential elimination game. Here is Sale for the 4th inning. Astros up 2-1. That’s a tough send by Butterfield, especially with Devers on deck. Too aggressive. Man, lots going on in this game. Sale punched out McCann on a 99.1 mph fastball -- the hardest pitch he's thrown since 2015. Man, it’s crazy how All-Star starters make good relievers. Porcello’s 2 runs in 3 innings lowered the Sox rotation’s ERA from 15.12 (worst of all time) to 12.71 (5th worst). There have been 9 starts of 3 IP or fewer this postseason, tied for 3rd most in any single postseason. The record (12 in 2011) will fall. Morton's ability to spot his fastball that inning was outstanding. 6 Ks in 4 IP.